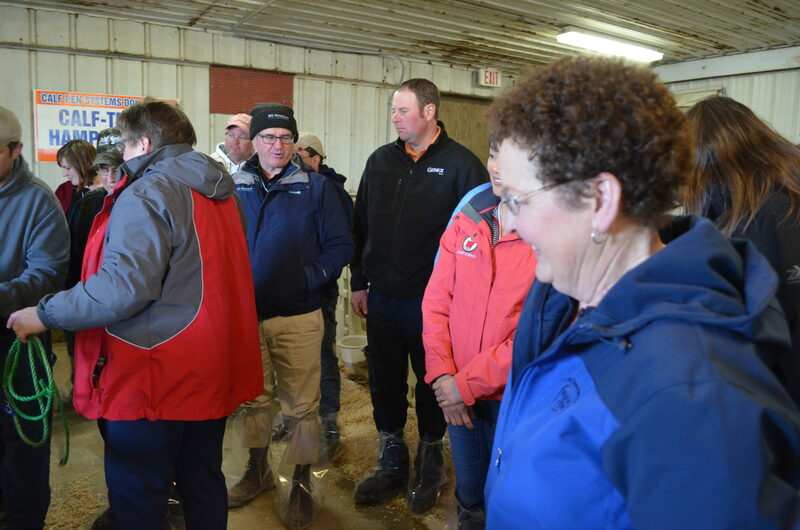 UW-Extension hosted its annual conference on dairy handling and well-being on March 19 in Platteville. I attended on behalf of Wisconsin Farm Bureau since the organization was a sponsor of the event. Increase knowledge or understanding of improved dairy and beef cattle animal handling practices. Expand awareness and improve understanding about the science and politics of farm animal care here in the upper Midwest, throughout the U.S. and around the world. Build new or existing partnerships between dairy and beef producers, veterinarians, related agencies and organizations to address the emerging agriculture policy issue of animal welfare in Wisconsin. Identify and connect key individuals interested in addressing future educational/policy efforts related to animal care or welfare. Speakers during the event included Jennifer Van Os, UW-Madison; Sandy Stuttgen, UW-Extension; and Heather Schlesser, UW-Extension. I’ve including some of the takeaways from each speaker. Van Os talked about group housing of pre-weaned calves and mentioned that social calf housing is used extensively in Europe and predicts that the U.S. will recognize the benefits and will transition to social calf housing in the near future. Van Os summarized the results and reviewed other studies that supported social calf housing. Nine studies found advantages when grouping the calves within 0 to 10 days of birth on average, although in one study the range was 2 to 17 days. Three studies grouped calves after 4 weeks of age and still found advantages; however, another study showed that early (Week 1) versus later (Week 6) pairing also has advantages for cognitive development. “These are additional arguments in favor of grouping earlier,” said Van Os. Van Os is working with graduate students including Rekia Salter. 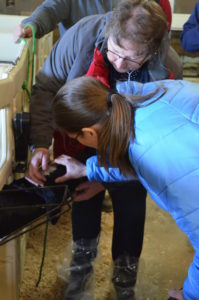 Salter’s research focuses on evaluating manual feeding strategies to reduce cross sucking among calves housed in paired hutches. “The outcomes of this study will help provide guidance to producers on strategies to mitigate cross sucking in a social housing system with manual feeding, such as in paired outdoor hutches,” added Van Os. 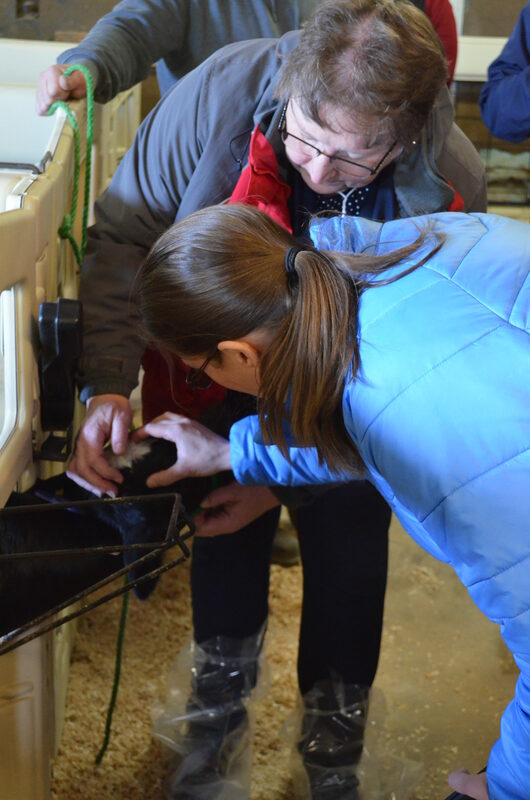 Graduate student Kim Reuscher’s research examines the interactions between social housing and thermal comfort of calves. Calves housed with a social companion in a hutch system have a more complex environment than those housed in a calf barn. Van Os added that the findings from these studies will provide information on the potential benefits of social housing for mitigating cold stress in the winter, the benefits of ventilating hutches to improve thermal comfort in the summer and how social housing affects bedding management in hutches. Education about what is normal behavior, especially as research continues to help us define what is truly normal, versus what we assume to be normal. Emotionally and physically supporting the people who work around cattle so they may be open to seeing and responding to the behaviors being exhibited by cattle. A safe place to work, enjoyable, adequate wages, good benefits, treated fairly, opinions valued and more. Stuttgen predicts that this will change in the next five to 10 years as our non-farming populations continues to outpace the farming one. These classes of critters are very different. Stuttgen predicts that there will continue to be demands for change placed on farm managers and owners. Stuttgen also discussed dehorning and pain mitigation. Schlesser focused on technology benefits to animal health and reviewed robotic milking machines, brushes, calf auto feeders, automatic-feed pushers and automatic-cattle feeders. For example, Schlesser explained that the low hanging fruit so to speak in terms of benefits and cost are brushes. Schlesser also added that it seems that the technology that is implemented largely surrounds the amount of labor the farm can get and the times of day the farm can get the labor. The Animal Well-Being Conference speakers always have great takeaways for famers and those in the agriculture industry. 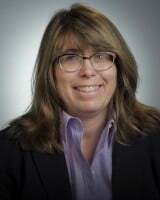 Marian Viney is the communications specialist with Wisconsin Farm Bureau. She is an active member of her community serving in a variety of roles on the school board, within her church and other organizations. Marian and her husband Doug live in Belleville and are the proud parents of three sons, Matthew, Michael and Benjamin.